There are a lot of immortals in the TVCU, and a lot of them don't know why, or have not been forthcoming as to why. Some simply found themselves dying in some battle only to awaken later completely healed. Likely, these are all the same type of immortals, but I can't confirm this. It's merely speculation. Both the television series and the movies are in (sort of), as you'll see in the chronology. A side note. These films is where my son's name came from. He's our prince of the universe. 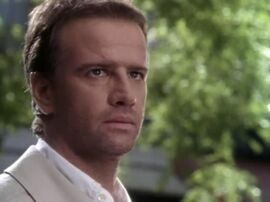 1518--HIGHLANDER--Connor MacLeod is born in Glenfinnan, Scotland. 1536--HIGHLANDER--Connor MacLeod is killed in combat and returns to life as an immortal. 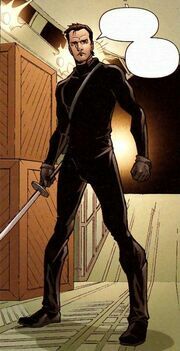 1541--HIGHLANDER--Connor is trained by Ramirez. 1592--HIGHLANDER THE SERIES--Duncan MacLeod is born in the Highlands of Scotland. 1622--HIGHLANDER--"Family Tree"--Duncan is killed and resurrected as an immortal. 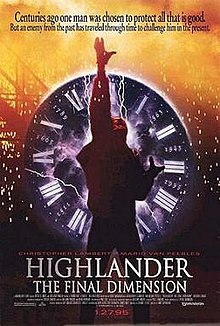 1624--HIGHLANDER: ENDGAME--Connor finds Duncan, another immortal, and trains him the way Ramirez had trained him a century earlier. January 1 to February 28, 1817--BLOODED--Justine the Vampire Slayer is wounded. Her Watcher Claire Silver is visited by Lord Byron. Justine senses something funny about Byron. Slayers can sense vampires, but perhaps they have a sense for other immortals, since Lord Byron was a HIGHLANDER type immortal. May 1908--YOUNG INDIANA JONES CHRONICLES--"Young Indiana Jones and the Curse of the Jackal"--Young Indy meets Laurence of Arabia. Laurence of Arabia also appears on HIGHLANDER. December 1916--SCIMITAR--Immortal Duncan MacLeod of the clan MacLeod is sent on a mission by Lawrence of Arabia. Lawrence of Arabia is a real historical figure, but this is his fictional TVCU counterpart. Indiana Jones has also met Lawrence of Arabia. Lawrence of Arabia also appeared in VOYAGERS. May 1920--HIGHLANDER--"Methos"--Duncan MacLeod waves hello to Pablo Picasso, and states that they are acquaintances. Picasso is a real historical figure, but this is his TVCU counterpart. Indiana Jones and Tarzan also met Picasso. 1978--HIGHLANDER--"The Ransom of Richard Redstone"--Duncan MacLeod meets James Bond, and states that he knows M.
1985--HIGHLANDER: WAY OF THE SWORD--This comic series is a direct prequel leading up to the events of the original Highlander film. 1985--HIGHLANDER (FILM)--Connor MacLeod faces his greatest foe, the Kurgan. For a more detailed chronology of Connor's life, click here. 1985--HIGHLANDER (COMIC)--This series helps reconcile the film with the TV series. This series shows that Connor did kill the Kurgan, but there still are more immortals. 1992 to 1998--HIGHLANDER THE SERIES--The adventures of Duncan MacLeod in modern day. There are also several novel tie-ins to this series that are canon. The ones that have crossovers are listed on this chronology. Click here for a complete list. The information listed in this chronology pertains mostly to the major works and crossovers, but you can find a much more detailed Duncan chronology here. October 1992--HIGHLANDER--"The Gathering"--Connor MacLeod stops by to visit his cousin Duncan MacLeod. 1994--HIGHLANDER: THE FINAL DIMENSION/HIGHLANDER III: THE SORCERER--Connor takes on the evil immortal sorcerer Kane. Kane here is meant to be the biblical Cain, but in the TVCU, there seems to be a few different immortal Kanes, and it's likely most of them assumed the name, rather than were born with it. August 1998--SIMPSONS--"Lard of the Dance"--Groundskeeper Willie knows the Clan MacLeod from Scotland. 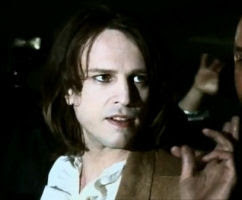 1998 to 1999--HIGHLANDER: THE RAVEN--Amanda was an immortal thief and sometime lover of Duncan. Basically the Catwoman to Duncan's Batman. She decides to be heroic (like Catwoman) and this was her short lived series. 2000 to Present--AQUA TEEN HUNGER FORCE--Master Shake claims that Highlander was a documentary filmed in real time. First off, these guys are super-heroes privy to many things unknown to public, and it could be he is referencing the documentation by the Watchers, information which the Force may have gotten hold of. Secondly, I can't remember if I've previously placed ATHF in the TVCU, Looniverse, or some other reality. I've yet to cover them as a blog topic, but I know they have been referenced in some previous blogs. 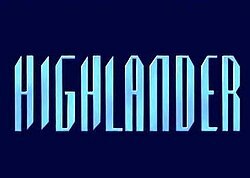 2004--HIGHLANDER: ENDGAME--Connor had been hidden away sleeping in a virtual reality system in which he dreams that he won the game and was the last of his kind, continuing to the events of HIGHLANDER II. Connor is freed by Duncan and the two team up to fight the villainous Kell. In the end, they realize the only way to stop Kell is for Duncan to kill Connor and absorb his powers, which he does, and Kell is defeated and beheaded. 2005--HIGHLANDER AUDIO DRAMAS--These were set to take place immediately following ENDGAME. 2008--REUNION--Methos plans to settle down with a mortal woman and her son. You can watch the reunion here. 2008--HIGHLANDER THE GAME--The adventures of immortal Owen MacLeod. March 2009--CASTLE--"Hedge Fund Homeboys"--Castles says "[The 1970's] are like the Highlander: they just won't die." Of course we could write this off as a pop culture reference, except that both Highlander and Castle are already brought into the TVCU separately, so under that condition, I tend to take references like this as being real, especially considering Castle also seems to know about vampires, werewolves, slayers, ect. The Near Future--HIGHLANDER: THE SOURCE--Duncan and other immortals who are the few remaining fight to win the contest. Duncan wins the prize. Note that as the last immortal, at least of this type of species of immortal, this means that any immortals shown in future stories, like Flint for instance, cannot be Highlander types immortals. And in fact, in the STAR TREK/LEGION OF SUPER HEROES crossover we learn the truth of Flint. Flint, of the TVCU, is the same person that Vandal Savage is in the DCU. 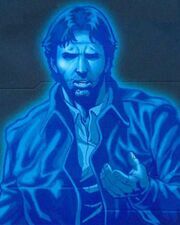 From Immortal Befuddled, we know that Kane was Vandal Savage, who gained his immortality from a meteor. Flint on the other hand was a "Highlander" type immortal. They were separate individuals whose paths would cross and who knew many of the same people. But when history was altered and transformed into what is now the TVCU, the person who was Flint seems to have never been born, and instead, Kane became the man that in the 23rd century would be known as Flint. IMAGINATIONLAND--The Kurgan is one of the bad guys. This may be in fact the ghost of the true Kurgan of the TVCU manifested by the nightmares of those who encountered him and survived, based on the nature of Imaginationland and the Bongo Anomaly. MIRROR UNIVERSE--This is the reality in which the events of HIGHLANDER, and HIGHLANDER II: THE RENEGADE VERSION occur. In this reality, immortals are not aliens, but once inhabited an ancient advanced civilization on Earth. ROBOT CHICKEN UNIVERSE--Lindsey Lohan is trained by Ramirez. TOOBWORLD--There are a lot of theoretical speculations about what TV characters may be immortals that Toby O'Brien has come up with. They don't really fit the TVCU model, but they are still worth mentioning. You can find them here. 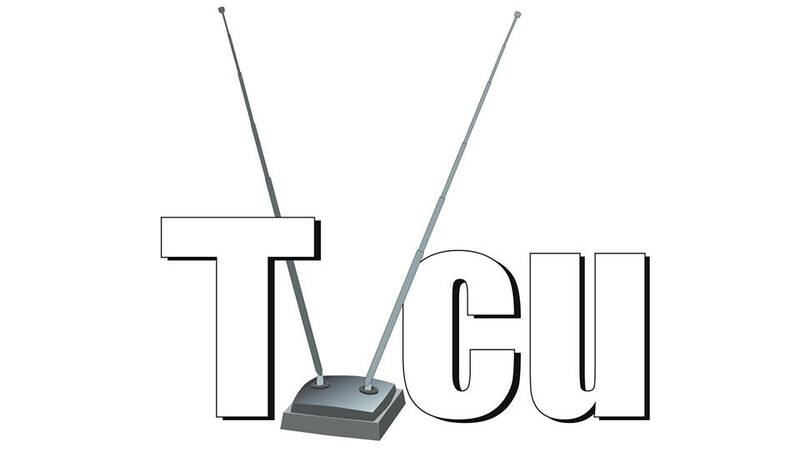 TVCU2--There is going to be a remake of the original Highlander film. Allegedly, this will lead to a new film franchise that actually makes sense. Oh, and Ryan Reynolds is slated to play Connor. WHONIVERSE--This is the reality in which the events of HIGHLANDER and HIGHLANDER II: THE QUICKENING take place. In this reality, immortals are actually aliens from the planet Zeist. Thus I'm placing these events in the universe where magic is explained away always as aliens. The only thing that bugged me about Highlander 2 was the villain's premise. "I am the ruler of my world and my worst enemy is old and no longer a threat. I have it all. But just to be sure, why don't I go have him killed even though it risks turning him young and dangerous again and if I do nothing, he can't become young and dangerous again." Dennis E. Power's Secret History UNIVERSE--Click here for the story of Flint as an immortal. WORLD WHERE EARTH IS DEVESTATED IN THE 1980S BY BOTH A METEORITE AND NUCLEAR ARMAGEDDON--For lack of a better name. This is the world of the Animated Highlander series.